For Métis peoples generally, see Métis. The Métis in Canada (/meɪˈtiː/; Canadian French: [meˈt͡sɪs]; European French: [meˈtis]; Michif: [mɪˈtʃɪf]) are groups of peoples in Canada who trace their descent to First Nations peoples and European settlers, primarily French in the early decades. They are recognized as one of Canada's aboriginal peoples under the Constitution Act of 1982, along with First Nations and Inuit peoples. As of 2016, they number over 587,545. Canadian Métis represent the majority of people that identify as Métis, although there are a number of Métis in the United States. While the Métis initially developed as the mixed-race descendants of early unions between First Nations and colonial-era European settlers (usually Indigenous women and French settler men), within generations (particularly in central and western Canada), a distinct Métis culture developed. The women in the unions in eastern Canada were usually Wabanaki, Algonquin, and Menominee; and in western Canada they were Saulteaux, Cree, Ojibwe, Nakoda, and Dakota/Lakota, or of mixed descent from these peoples. Their unions with European men engaged in the fur trade in the Old Northwest were often of the type known as Marriage à la façon du pays ("according to the custom of the country"). 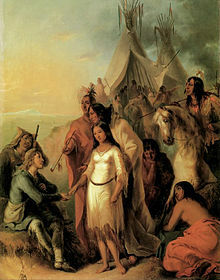 After New France was ceded to Great Britain's control in 1763, there was an important distinction between French Métis born of francophone voyageur fathers, and the Anglo-Métis (known as "countryborn" or Mixed Bloods, for instance in the 1870 census of Manitoba) descended from English or Scottish fathers. Today these two cultures have essentially coalesced into location-specific Métis traditions. This does not preclude a range of other Métis cultural expressions across North America. Such polyethnic people were historically referred to by other terms, many of which are now considered to be offensive, such as Mixed-bloods, Half-breeds, Bois-Brûlés, Bungi, Black Scots, and Jackatars. The contemporary Métis in Canada are a specific Indigenous people; the term does not apply to every person of "mixed" heritage or ancestry. While people of Métis culture or heritage are found across Canada, the traditional Métis "homeland" (areas where Métis populations and culture developed as a distinct ethnicity historically) includes much of the Canadian Prairies. The most commonly known group are the "Red River Métis", centring on southern and central parts of Manitoba along the Red River of the North. Closely related are the Métis in the United States, primarily those in border areas such as northern Michigan, the Red River Valley, and eastern Montana. These were areas in which there was considerable Aboriginal and European mixing due to the 19th-century fur trade. But they do not have a federally recognized status in the United States, except as enrolled members of federally recognized tribes. Although Métis existed further west than today's Manitoba, much less is known about the Métis of Northern Canada. In 2016, 587,545 people in Canada self-identified as Métis. They represented 35.1% of the total Aboriginal population and 1.5% of the total Canadian population. Most Métis people today are descendants of unions between generations of Métis individuals and live in Canadian society with people of other ethnicities. The exception are the Métis in rural and northern parts, who still live in close proximity to First Nations communities. Over the past century, countless Métis have assimilated into the general European Canadian populations. Métis heritage (and thereby Aboriginal ancestry) is more common than is generally realized. Geneticists estimate that 50 percent of today's population in Western Canada has some Aboriginal ancestry. Most people with more distant ancestry are not part of the Métis ethnicity or culture. Unlike among First Nations peoples, there is no distinction between Treaty status and non-Treaty status. The Métis did not sign treaties with Canada, with the exception of an adhesion to Treaty 3 in Northwest Ontario. This adherence was never implemented by the federal government. The legal definition is not yet fully developed. Section Thirty-five of the Constitution Act, 1982 recognizes the rights of Indian, Métis and Inuit people; however, it does not define these groups. In 2003, the Supreme Court of Canada defined a Métis as someone who self-identifies as Métis, has an ancestral connection to the historic Métis community, and is accepted by the modern community with continuity to the historic Métis community. The most well-known and historically documented mixed-ancestry population in Canadian history are the groups who developed during the fur trade in south-eastern Rupert's Land, primarily in the Red River Settlement (now Manitoba) and the Southbranch Settlements (Saskatchewan). In the late nineteenth century, they organized politically (led by men who had European educations) and had confrontations with the Canadian government in an effort to assert their independence. This was not the only place where métissage (mixing) between European and Indigenous people occurred. It was part of the history of colonization from the earliest days of settlements on the Atlantic Coast throughout the Americas. :2, 5 But the strong sense of ethnic national identity among the mostly French- and Michif-speaking Métis along the Red River, demonstrated during the Riel Rebellions, resulted in wider use of the term "Métis" as the main word used by Canadians for all mixed Euro-Native groups. 35. (1) The existing aboriginal and treaty rights of the Aboriginal People of Canada are hereby recognized and affirmed. (2) In this Act, "Aboriginal Peoples of Canada" includes the Indian, Inuit, and Métis Peoples of Canada. It is not clear who has the moral and legal authority to define the word "Métis". There is no comprehensive legal definition of Métis status in Canada; this is in contrast to the Indian Act, which creates an Indian Register for all (Status) First Nations people. Some commentators have argued that one of the rights of an Indigenous people is to define its own identity, precluding the need for a government-sanctioned definition. :9–10 The question is open as to who should receive Aboriginal rights flowing from Métis identity. No federal legislation defines the Métis. The number of people self-identifying as Métis has risen sharply since the late 20th century: between 1996 and 2006, the population of Canadians who self-identify as Métis nearly doubled, to approximately 390,000.:2 Until R v. Powley (2003), there was no legal definition of Métis other than the legal requirements found in the Métis Settlements Act of 1990. [t]he term Métis in s. 35 does not encompass all individuals with mixed Indian and European heritage; rather, it refers to distinctive peoples who, in addition to their mixed ancestry, developed their own customs, ways of life, and recognizable group identity separate from their Indian or Inuit and European forebears. :9 The court was explicit that its ten-point test is not a comprehensive definition of Métis. Questions remain as to whether Métis have treaty rights; this is an explosive issue in the Canadian Aboriginal community today. It has been stated that "only First Nations could legitimately sign treaties with the government so, by definition, Métis have no Treaty rights." One treaty names Métis in the title: the Halfbreed (Métis in the French version) Adhesion to Treaty 3. Another, the Robinson Superior Treaty of 1850, listed 84 persons classified as "half-breeds" in the Treaty, so included them and their descendants. Hundreds, if not thousands, of Métis were initially included in a number of other treaties, and then excluded under later amendments to the Indian Act. Two main advocacy groups claim to speak for the Métis in Canada: the Congress of Aboriginal Peoples (CAP) and the Métis National Council.(MNC). Each uses different approaches to define Métis individuals. The CAP, which has nine regional affiliates, represents all Aboriginal people who are not part of the reserve system, including Métis and non-Status Indians. It does not define Métis and uses a broad conception based on self-identification. Métis Nation of British Columbia. Métis means a person who self-identifies as a Métis, is distinct from other aboriginal peoples, is of historic Métis Nation ancestry, and is accepted by the Métis Nation. Indigenous Affairs Canada, the relevant federal ministry, deals with the MNC. On April 13, 2017 the two parties signed the Canada-Métis Nation Accord, with the goal of working with the Métis Nation, as represented by the Métis National Council, on a Nation to Nation basis. In response to the Powley ruling, Métis organizations are issuing Métis Nation citizenship cards to their members. Several organizations are registered with the Canadian government to provide Métis cards. The criteria to receive a card and the rights associated with the card vary with each organization. For example, for membership in the Métis Nation of Alberta Association (MNAA), an applicant must provide a documented genealogy and family tree dating to the mid 1800s, proving descent from one or more members of historic Métis groups. The Canadian Métis Council will accept persons of mixed blood (European/Aboriginal blood (Indian ancestry)) that is distinct from Indian and Inuit, and who have genealogical ties to Aboriginal ancestry. The Métis Nation of Ontario requires that successful applicants for what it calls "citizenship", must "see themselves and identify themselves as distinctly Métis. This requires that individuals make a positive choice to be culturally and identifiable Métis". They note that "an individual is not Métis simply because he or she has some Aboriginal ancestry, but does not have Indian or Inuit status". It also requires proof of Métis ancestry: "This requires a genealogical connection to a 'Métis ancestor' – not an Indian or aboriginal ancestor". Cultural definitions of Métis identity inform legal and political ones. During the height of the North American fur trade in New France from 1650 onward, many French and British fur traders married First Nations and Inuit women, mainly Cree, Ojibwa, or Saulteaux located in the Great Lakes area and later into the north west. The majority of these fur traders were French and Scottish; the French majority were Catholic. These marriages are commonly referred to as marriage à la façon du pays or marriage according to the "custom of the country." Their children often grew up primarily in their mothers' cultures, but were often also introduced to Catholicism. In many cases, as the fur traders lived with the native women at the location of their tribes, the children grew up in primarily First Nations societies. But, as more Métis lived in communities with a fur-trapping tradition, they created a new, distinct Aboriginal people in North America. First Nations women were the link between cultures; they provided companionship for the fur traders, introductions to their people and culture, and also aided in their survival. First Nations women were able to translate the native languages, sewed new clothing for their husbands and children, and generally were involved in resolving any cultural issues that arose. The First Peoples had survived in the west for thousands of years, so the fur traders benefited greatly from their First Nations wives' knowledge of the land and its resources. Métis people were thought of as the familial bond between the Europeans and First Nations and Inuit peoples of North America. As adults, the men often worked as fur-trade company interpreters, as well as fur trappers in their turn. Many of the first generations of Métis lived within the First Nations societies of their wives and children, but also started to marry Métis women. According to historian Jacob A. Schooley, the Métis developed over at least two generations and within different economic classes. In the first stage, "servant" (employee) traders of the fur trade companies, known as wintering partners, would stay for the season with First Nations bands, and make a "country marriage" with a high-status native woman. This woman and her children would move to live in the vicinity of a trading fort or post, becoming "House Indians" (as they were called by the company men). House Indians eventually formed distinct bands. Children raised within these "House Indian" bands often became employees of the companies. (Foster cites the legendary York boat captain Paulet Paul as an example). Eventually this second-generation group ended employment with the company and became commonly known as "freemen" traders and trappers. They lived with their families raising children in a distinct culture, accustomed to the fur-trade life, that valued free trading and the buffalo hunt in particular. He considered that the third generation, who were sometimes Métis on both sides, were the first true Métis. He suggests that in the Red River region, many "House Indians" (and some non-"House" First Nations) were assimilated into Métis culture due to the Catholic church's strong presence in that region. In the Fort Edmonton region however, many House Indians never adopted a Métis identity but continued to identify primarily as Cree, Saulteaux, Ojibwa, and Chipweyan descendants up until the early 20th century. The Métis played a vital role in the success of the western fur trade. They were skilled hunters and trappers, and were raised to appreciate both Aboriginal and European cultures. Métis understanding of both societies and customs helped bridge cultural gaps, resulting in better trading relationships. The Hudson's Bay Company discouraged unions between their fur traders and First Nations and Inuit women, while the North West Company (the English-speaking Quebec-based fur trading company) supported such marriages. Trappers typically took First Nations women as wives, too, and operated outside company structures. The Métis peoples were respected as valuable employees of both fur trade companies, due to their skills as voyageurs, buffalo hunters, and interpreters, and their knowledge of the lands. By the early 1800s European immigrants, mainly Scottish farmers, along with Métis families from the Great Lakes region moved to the Red River Valley in present-day Manitoba. 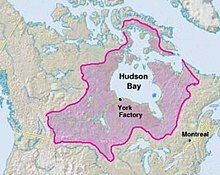 The Hudson's Bay Company, which now administered a monopoly over the territory then called Rupert's Land, assigned plots of land to European settlers. The allocation of Red River land caused conflict with those already living in the area, as well as with the North West Company, whose trade routes had been cut in half. Many Métis were working as fur traders with both the North West Company and the Hudson's Bay Company. Others were working as free traders, or buffalo hunters supplying pemmican to the fur trade. The buffalo were declining in number, and the Métis and First Nations had to go farther and further west to hunt them. Profits from the fur trade were declining because of a reduction in European demand due to changing tastes, as well as the need for the Hudson's Bay Company to extend its reach farther from its main posts to get furs. Most references to the Métis in the 19th century applied to the Plains Métis, but more particularly the Red River Métis. But, the Plains Métis tended to identify by occupational categories: buffalo hunters, pemmican and fur traders, and "tripmen" in the York boat fur brigades among the men; the moccasin sewers and cooks were among the women. The largest community in the Assiniboine-Red River district had a different lifestyle and culture from those Métis located in the Saskatchewan, Alberta, Athabasca, and Peace river valleys to the west. In 1869, two years after Canadian Confederacy, the Government of Canada exerted its power over the people living in Rupert's Land after it acquired the land in the mid-19th century from the Hudson's Bay Company. The Métis and the Anglo-Métis (commonly known as Countryborn, children of First Nations women and Orcadian, other Scottish or English men), joined forces to stand up for their rights. They wanted to protect their traditional ways of life against an aggressive and distant Anglo-Canadian government and its local colonizing agents. An 1870 census of Manitoba classified the population as follows: 11,963 total people. Of this number 558 were defined as Indians (First Nations). There were 5,757 Métis and 4,083 English-speaking Mixed Bloods. The remaining 1,565 people were of predominately European, Canadian or American background. During this time the Canadian government signed treaties (known as the "Numbered Treaties") with various First Nations. These Nations ceded property rights to almost the entire western plains to the Government of Canada. In return for their ceding traditional lands, the Canadian government promised food, education, medical help, etc. While the Métis generally did not sign any treaty as a group, they were sometimes included, even listed as "half-breeds" in some records. In the late 19th century, following the British North America Act (1867), Louis Riel, a Métis who was formally educated, became a leader of the Métis in the Red River area. He denounced the Canadian government surveys on Métis lands  in a speech delivered in late August 1869 from the steps of Saint Boniface Cathedral. 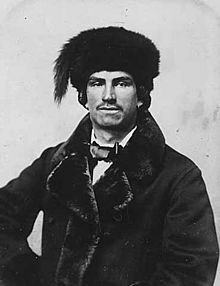 The Métis became more fearful when the Canadian government appointed the notoriously anti-French William McDougall as the Lieutenant Governor of the Northwest Territories on September 28, 1869, in anticipation of a formal transfer of lands to take effect in December. On November 2, 1869 Louis Riel and 120 men seized Upper Fort Garry, the administrative headquarters of the Hudson's Bay Company. This was the first overt act of Métis resistance. 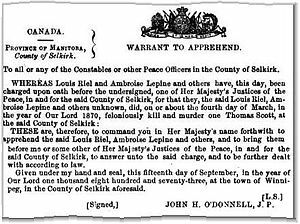 On March 4, 1870 the Provisional Government, led by Louis Riel, executed Thomas Scott after Scott was convicted of insubordination and treason. The elected Legislative Assembly of Assiniboia  subsequently sent three delegates to Ottawa to negotiate with the Canadian government. This resulted in the Manitoba Act and that province's entry into the Canadian Confederation. Due to the execution of Scott, Riel was charged with murder and fled to the United States in exile. In March 1885, the Métis heard that a contingent of 500 North-West Mounted Police was heading west. They organized and formed the Provisional Government of Saskatchewan, with Pierre Parenteau as President and Gabriel Dumont as adjutant-general. Riel took charge of a few hundred armed men. 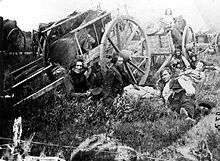 They suffered defeat by Canadian armed forces in a conflict known as the North West Rebellion, which occurred in northern Saskatchewan from March 26 to May 12, 1885. Gabriel Dumont fled to the United States, while Riel, Poundmaker, and Big Bear surrendered. Big Bear and Poundmaker each were convicted and received a three-year sentence. On July 6, 1885, Riel was convicted of high treason and was sentenced to hang. Riel appealed but he was executed on November 16, 1885. Issues of land ownership became a central theme, as the Métis sold most of the 600,000 acres they received in the first settlement. The Métis settlements in Alberta are the only recognized land base of Métis in Canada. They are represented and governed collectively by a unique Métis government known as the Métis Settlements General Council (MSGC), also known as the "All-Council". The MSGC is the provincial, national, and international representative of the Federated Métis Settlements. It holds fee simple land title via Letters Patents to 1.25 million acres of land, making the MSGC the largest land holder in the province, other than the Crown in the Right of Alberta. The MSGC is the only recognized Métis Governerment in Canada with prescribed land, power, and jurisdiction via the Métis Settlements Act. (This legislation followed legal suits filed by the Métis Settlements against the Crown in the 1970’s). The Métis Settlements consist of predominantly Indigenous Métis populations native to Northern Alberta – unique from those of the Red River, the Great Lakes, and other migrant Métis from further east. However, following the Riel and Dumont resistances some Red-River Métis fled westward, where they married into the contemporary Métis settlement populations during the end of the 19th century and into the early 20th century. Historically referred to as the "Nomadic Half-breeds", the Métis of Northern Alberta have a unique history. Their fight for land is still evident today with the eight contemporary Métis settlements. Following the formal establishment of the Métis settlements, then called Half-Breed Colonies, in the 1930s by a distinct Métis political organization, the Métis populations in Northern Alberta were the only Métis to secure communal Métis lands. During renewed Indigenous activism during the 1960s into the 1970s, political organizations were formed or revived among the Métis. In Alberta, the Métis settlements united as: The "Alberta Federation of Métis Settlement Associations" in the mid-1970s. Today, the Federation is represented by the Métis Settlements General Council. In the 1960s, the settlements of Marlboro, Touchwood, Cold Lake, and Wolf Lake were dissolved by Order-in-Council by the Alberta Government. The remaining Métis Settlers were forced to move into one of the eight remaining Métis Settlements – leaving the eight contemporary Métis Settlements. The position of Federal Interlocutor for Métis and Non-Status Indians was created in 1985 as a portfolio in the Canadian Cabinet. The Department of Indian Affairs and Northern Development is officially responsible only for Status Indians and largely with those living on Indian reserves. The new position was created in order provide a liaison between the federal government and Métis and non-status Aboriginal peoples, urban Aboriginals, and their representatives. The Provisional Government of Saskatchewan was the name given by Louis Riel to the independent state he declared during the North-West Rebellion (Resistance) of 1885 in what is today the Canadian province of Saskatchewan. The governing council was named the Exovedate, Latin for "of the flock". The council debated issues ranging from military policy to local bylaws and theological issues. It met at Batoche, Saskatchewan, and exercised real authority only over the Southbranch Settlement. The provisional government collapsed that year after the Battle of Batoche. The Métis National Council was formed in 1983, following the recognition of the Métis as an Aboriginal Peoples in Canada, in Section Thirty-five of the Constitution Act, 1982. The MNC was a member of the World Council of Indigenous (WCIP). In 1997 the Métis National Council was granted NGO Consultative Status with the United Nations Economic and Social Council. The MNC's first ambassador to this group was Clement Chartier. MNC is a founding member of the American Council of Indigenous Peoples (ACIP). The Métis people hold province-wide ballot box elections for political positions in these associations, held at regular intervals, for regional and provincial leadership. Métis citizens and their communities are represented and participate in these Métis governance structures by way of elected Locals or Community Councils, as well as provincial assemblies held annually. The Congress of Aboriginal Peoples (CAP) and its nine regional affiliates represent all Aboriginal people who are not part of the reserve system, including Métis and non-Status Indians. Due to political differences to the MNBC, a separate Métis organization in British Columbia was formed in June 2011; it is called the British Columbia Métis Federation (BCMF). They have no affiliation with the Métis National Council and have not been officially recognized by the government. The Canadian Métis Council–Intertribal is based in New Brunswick and is not affiliated with the Métis National Council. The Ontario Métis Aboriginal Association–Woodland Métis is based in Ontario and is not affiliated with the Métis National Council. Its representatives think the MNC is too focused on the Métis of the prairies. The Woodland Métis are also not affiliated with the Métis Nation of Ontario (MNO) and MNO President Tony Belcourt said in 2005 that he did not know who OMAA members are, but that they are not Métis. In a Supreme Court of Canada appeal (Document C28533, page 17), the federal government states that "membership in OMAA and/or MNO does not establish membership in the specific local aboriginal community for the purposes of establishing a s. 35 [Indigenous and treaty] right. Neither OMAA nor the MNO constitute the sort of discrete, historic and site-specific community contemplated by Van der Peet capable of holding a constitutionally protected aboriginal right". The Nation Métis Québec is not affiliated with the Métis National Council. None of these claim to represent all Métis. Other Métis registry groups also focus on recognition and protection of their culture and heritage. They reflect their communities' particular extensive kinship ties and culture that resulted from settlement in historic villages along the fur trade. A majority of the Métis once spoke, and many still speak, either Métis French or an Indigenous language such as Mi'kmaq, Cree, Anishinaabemowin, Denésoliné, etc. A few in some regions spoke a mixed language called Michif which is composed of Plains Cree verbs and French nouns. Michif, Mechif or Métchif is a phonetic spelling of the Métis pronunciation of Métif, a variant of Métis. The Métis today predominantly speak Canadian English, with Canadian French a strong second language, as well as numerous Aboriginal tongues. Métis French is best preserved in Canada. Michif is most used in the United States, notably in the Turtle Mountain Indian Reservation of North Dakota. There Michif is the official language of the Métis who reside on this Chippewa (Ojibwe) reservation. After years of decline in use of these languages, the provincial Métis councils are encouraging their revival, teaching in schools and use in communities. The encouragement and use of Métis French and Michif is growing due to outreach after at least a generation of decline. The 19th-century community of Anglo-Métis, more commonly known as Countryborn, were children of people in the Rupert's Land fur trade; they were typically of Orcadian, other Scottish, or English paternal descent and Aboriginal maternal descent. Their first languages would have been Aboriginal (Cree language, Saulteaux language, Assiniboine language, etc.) and English. The Gaelic and Scots spoken by Orcadians and other Scots became part of the creole language referred to as "Bungee". The Métis flag is one of the oldest patriotic flags originating in Canada. The Métis have two flags. Both flags use the same design of a central infinity symbol, but are different colours. The red flag was the first flag used. It is currently the oldest flag made in Canada that is still in use. The first red flag was given to Cuthbert Grant in 1815 by the North-West Company. The red flag was also used at the Battle of Seven Oaks, "La Grenouillère" in 1816. Contrary to popular beliefs the red and blue are not cultural or linguistique identifiers and do not represent the companies. The term Métis was originally used simply to refer to mixed-race children of the union of Frenchmen (Europeans) and Native women. The first records of "Métis" were made by 1600 on the East Coast of Canada (Acadia), where French exploration and settlement started. As French Canadians followed the fur trade to the west, they made more unions with different First Nations women, including the Cree. Descendants of English or Scottish and natives were historically called "half-breeds" or "country born". They sometimes adopted a more agrarian culture of subsistence farming and tended to be reared in Protestant denominations. The term eventually evolved to refer to all 'half-breeds' or persons of mixed First Nations-European ancestry, whether descended from the historic Red River Métis or not. Lowercase 'm' métis refers to those who are of mixed native and other ancestry, recognizing the many people of varied racial ancestry. Capital 'M' Métis refers to a particular sociocultural heritage and an ethnic self-identification that is based on more than racial classification. Some argue that people who identify as métis should not be included in the definition of 'Métis'. Others view this distinction as recent, artificial, and offensive, criticized for creating from what are newly imagined and neatly defined ethnological boundaries, justification to exclude "other Métis". According to the 2016 Canada Census, a total of 587,545 individuals identified as Métis. ^ "First Nations People, Métis and Inuit". 12.statcan.gc.ca. Retrieved 2018-03-21. ^ contenu, English name of the content author / Nom en anglais de l'auteur du. "English title / Titre en anglais". www12.statcan.gc.ca. Retrieved 15 November 2018. ^ a b Canada, Government of Canada, Statistics. "Aboriginal Population Profile, 2016 Census - Canada [Country]". www12.statcan.gc.ca. Retrieved 15 November 2018. ^ "What to Search: Topics - Genealogy and Family History - Library and Archives Canada". 6 October 2014. Archived from the original on 6 October 2014. Retrieved 15 November 2018. ^ McNab, David; Lischke, Ute (2005). Walking a Tightrope: Aboriginal People and their Representations. ^ Howard, James H. 1965. "The Plains-Ojibwa or Bungi: hunters and warriors of the Northern Prairies with special reference to the Turtle Mountain band"; University of South Dakota Museum Anthropology Papers 1 (Lincoln, Nebraska: J. and L. Reprint Co., Reprints in Anthropology 7, 1977). ^ Canada, Government of Canada, Statistics. "Aboriginal identity population, Canada, 2016". www150.statcan.gc.ca. Retrieved 15 November 2018. ^ a b c d e f g "Complete History of the Canadian Métis Culturework=Métis nation of the North West". ^ Lambrecht, Kirk N. (2013). Aboriginal Consultation, Environmental Assessment, and Regulatory Review in Canada. University of Regina Press. p. 31. ISBN 978-0-88977-298-4. ^ a b c d e f g h i j Standing Senate Committee on Aboriginal Peoples. "The People Who Own Themselves" Recognition of Métis Identity in Canada (PDF) (Report). Canadian Senate. Retrieved 7 February 2014. ^ "Rights of the Aboriginal People of Canada". Canadian Department of Justice. ^ "Métis Are a People, Not a Historical Process - The Canadian Encyclopedia". www.thecanadianencyclopedia.ca. ^ "The "Other" Métis - The Canadian Encyclopedia". www.thecanadianencyclopedia.ca. ^ a b "Trudeau pledges annual meetings with Indigenous leaders to advance reconciliation". Retrieved 15 November 2018 – via The Globe and Mail. ^ "Canada-Metis Nation Accord". 20 April 2017. Retrieved 15 November 2018. ^ "Qualifying As A Métis". Canadianmetis.com. Retrieved 2015-10-25. ^ Friesen, Gerald (1987). The Canadian Prairies. Toronto: Toronto University Press. p. 67. ISBN 0-8020-6648-8. ^ a b c d Foster, John E. (1985). "Paulet Paul: Métis or "House Indian" Folk-Hero?". Manitoba History. Manitoba Historical Society. 9: Spring. Retrieved 7 December 2012. ^ a b "The Métis Nation". Angelhair. Archived from the original on 2009-10-26. ^ "Who are the METIS?". Métis National Council. Archived from the original on 2010-02-26. ^ Arthur J. Ray (2016). Aboriginal Rights Claims and the Making and Remaking of History. McGill-Queen's University Press. pp. 210–212. ISBN 978-0-7735-4743-8. ^ a b c d e "Riel and the Métis people" (PDF). The departments of Advanced Education and Literacy, Competitiveness, Training and Trade, and Education, Citizenship and Youth. Archived from the original (PDF) on 2008-11-22. Retrieved 2009-10-03. ^ "A Brief History of the Métis People". Wolf Lodge Cultural Foundation ~ Golden Braid Ministries. Archived from the original on 2009-12-12. Retrieved 2009-10-03. ^ "Numbered Treaty Overview". Canadiana.org (Formerly Canadian Institute for Historical Microreproductions). Canada in the Making. Retrieved 2009-11-16. The Numbered Treaties—also called the Land Cession or Post-Confederation Treaties—were signed between 1871 and 1921, and granted the federal government large tracts of land throughout the Prairies, Canadian North, and Northwestern Ontario for white settlement and industrial use. The disruptive effects of these treaties can be still felt in modern times. ^ a b "Biography – RIEL, LOUIS (1844-85) – Volume XI (1881-1890) – Dictionary of Canadian Biography". Retrieved 15 November 2018. ^ "Thomas Scott - The Canadian Encyclopedia". thecanadianencyclopedia.ca. Retrieved 15 November 2018. ^ "Indigenous and Northern Relations - Province of Manitoba". Retrieved 15 November 2018. ^ D. N. Sprague, "The Manitoba Land Question 1870–1882," Journal of Canadian Studies 15#3 (1980). ^ Barkwell, Lawrence. The Metis homeland: its settlements and communities. Winnipeg, Manitoba: Louis Riel Institute, 2016. ISBN 978-1-927531129. ^ a b c d "The Métis" (rtf). Canada in the Making. 2005. Retrieved 2010-04-17. ^ "Metis Settlement General Council – Our Land. Our Culture. Our Future". metissettlements.com. Retrieved 15 November 2018. ^ "Métis Settlements General Council". Archived from the original on 2017-08-03. Retrieved 15 November 2018. ^ a b "Office of the Federal Interlocutor for Métis and Non-Status Indians (Mandate, Roles and Responsibilities)". Indian and Northern Affairs Canada. 2009. Archived from the original on 2010-01-28. Retrieved 2010-04-18. ^ "1885 Northwest Resistance". indigenouspeoplesatlasofcanada.ca. ^ "Founding Meeting of the American Council of Indigenous Peoples - Métis National Council". metisnation.ca. Retrieved 15 November 2018. ^ "Métis National Council Online". MÉTIS NATIONAL COUNCIL. ^ "OMAA names MNO in legal action against governments". Ammsa.com. Retrieved 15 November 2018. ^ "Nation Metis Québec - Accueil". nationmetisquebec.ca. Retrieved 15 November 2018. ^ "Fast Facts on Métis". Métis Culture & Heritage Resource Centre. Archived from the original on 2010-01-10. Retrieved 2009-10-03. ^ "The Michif language". Metis Culture & Heritage Resource Centre. Archived from the original on 2009-05-17. Retrieved 2009-10-03. ^ a b "The Métis flag". Gabriel Dumont Institute (Métis Culture & Heritage Resource Centre). Archived from the original on 2009-03-04. Retrieved 2009-10-03. ^ J. Brown, "Métis", Canadian Encyclopedia, vol. 2 (Edmonton: Hurtig, 1985) at 1124. Barkwell, Lawrence J., Leah Dorion and Darren Préfontaine. Métis Legacy: A Historiography and Annotated Bibliography. Winnipeg: Pemmican Publications Inc. and Saskatoon: Gabriel Dumont Institute, 2001. ISBN 1-894717-03-1. Barkwell, Lawrence J., Leah Dorion, and Audreen Hourie. Métis legacy Michif culture, heritage, and folkways. Métis legacy series, v. 2. Saskatoon: Gabriel Dumont Institute, 2006. ISBN 0-920915-80-9. Barkwell, Lawrence J. Women of the Métis Nation. Winnipeg: Louis Riel Institute, 2010. ISBN 978-0-9809912-5-3. Andersen, Chris (2014) "Metis": Race, Recognition and the Struggle for Indigenous Peoplehood. Vancouver: UBC Press. Barkwell, Lawrence J. (2016), The Metis homeland: its settlements and communities. Winnipeg, Manitoba: Louis Riel Institute. ISBN 978-1-927531129. Hogue, Michel (2015). Métis and the Medicine Line: Creating a Border and Dividing a People. Chapel Hill, NC: University of North Carolina Press. Sylvia Van Kirk (1983). Many Tender Ties: Women in Fur-Trade Society, 1670–1870. University of Oklahoma Press. ISBN 978-0-8061-1847-5. Métis in the Courts. Site includes interviews with legal and history experts on Métis issues.